With Black Friday sales wrapping up over the weekend, those still searching for quality discounts on Apple products and accessories have another chance today during Cyber Monday. Essentially all of the same retailers that offered Black Friday deals have launched -- or will soon launch -- Cyber Monday sales, and although the focus of the event is shopping from home, some retailers are also honoring the deals at their brick-and-mortar locations. Best Buy's Cyber Monday discounts began with early access yesterday for My Best Buy members, and now the deals have expanded to everyone. The retailer is offering free shipping on nearly everything, and a few deals will be extending throughout the week for its "Cyber Week Deals" event. Amazon's selection of sales is focused on its own line of Alexa products, but it does have a few HomeKit-enabled devices and other accessories Apple fans might be interested in. Head to Amazon's Cyber Monday headquarters to keep an eye on the deals, which will also include more than 30 Deals of the Day and thousands of Lightning Deals across numerous product categories over the course of Monday. A few of Amazon's sales are listed below, and the full list is available in the company's Cyber Monday press release. B&H Photo has opened up discounts on a wide range of Apple products for Cyber Monday, as well as highlighted ongoing notable sales like its $1,000 discount on the Late 2013 Mac Pro. 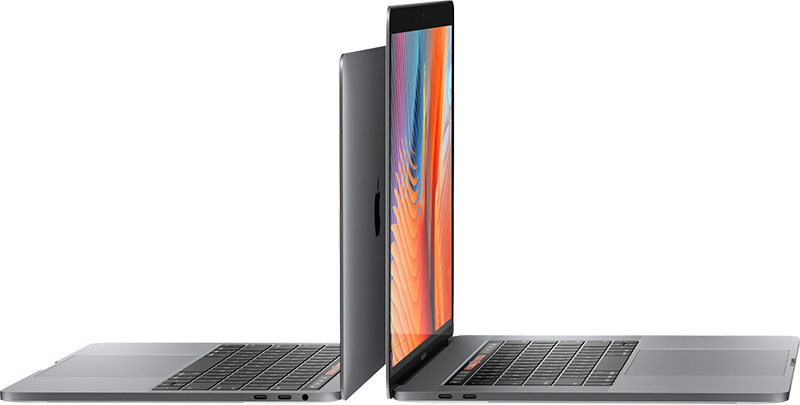 B&H also has some of the biggest Cyber Monday discounts on Macs today, including $1,000 off a high-end 2016 15-inch MacBook Pro with Touch Bar. Check out some of the best deals in the list below and head to B&H to browse the rest. Adorama's Cyber Monday deals include some of the latest MacBook Pro and iPad Pro models, the late 2015 27-inch iMac, and a few other sales on drones, printers, scanners, and more. 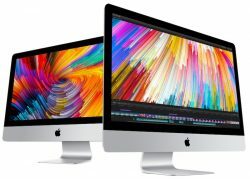 MacMall has a few Cyber Monday deals on select Mac and iPad models that are comparable to discounts available from other Apple authorized resellers. Popular Apple accessory maker Twelve South has begun its Cyber Monday deals with MacBook and iMac accessories on sale for up to 50 percent off until tonight at 11:59 p.m. ET. In total, 17 products are on sale today, which you can find in the list below. For more information on Twelve South's "Cyber Mac Monday" deals, head over to the company's website. T-Mobile has an offer for new customers considering a move to its cellular plans. 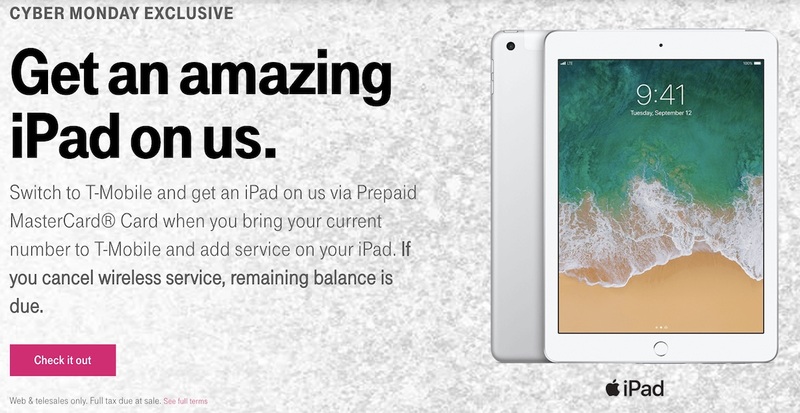 If you buy a 32GB 9.7-inch iPad with a T-Mobile ONE plan, then activate a T-Mobile ONE voice line on a new or existing cell phone (which you can carry over from a different carrier and keep your number), you'll get a full rebate for the iPad. The rebate will come in the form of a $460 Prepaid MasterCard Card, which will arrive in the mail within six to eight weeks. eBay has a few sales today on select products in its tech storefront, including some notable markdowns on MacBook Air and iMac. There are plenty of other offers to check out for eBay's Cyber Monday sale, with deeper discounts hitting refurbished or used items, so be sure to check out the site for more information. - Gazelle: Up to 40 percent off select pre-owned iPads, iPhones, and MacBooks. We'll update this article throughout the day as new Cyber Monday sales are spotted, so be sure to check back often. These "deals" aren't any better than sales that regularly pop up over the course of the year. When did this Cyber Monday come into being? Who's idea was it? Mine, and I am charging a commission. The Walmart savings of $200 on iPad mini 4 is bogus. It’s a $200 savings off the original price of the 128GB model from when they first shipped TWO years ago when the base model was 32GB for $399 and 64GB for $499. 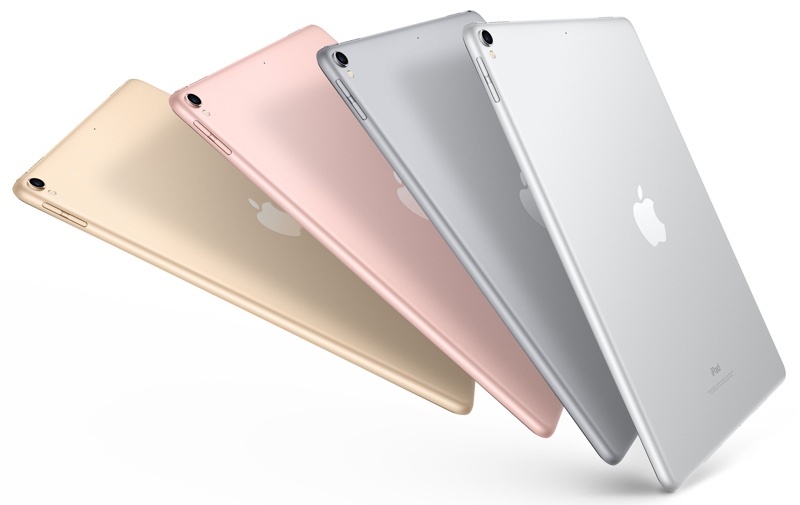 Apple is selling that same iPad mini 4 @128GB for $399 every day as the regular price. So you are saying lie about whether or not I am associated with education? And the trail i followed did have a verification step. I had to select my state and then two different options came up associated with schools and I was supposed to pick one. Think I'll do the honorable thing and not claim something I am not eligible for. But hey, if you've got money to burn by all means. I'm sure Apple did the "honorable thing" by charging everyone $150 that was impacted by THEIR manufacturing defect (touch disease). some ok deals, nothing that I want to jump on though. Lets see, I'm retired, no kids, don't teach, not attending school and don't plan to. Did I miss something? There's no verification via the https://www.apple.com/education/ site. I couldn't pick the school I went to because I no longer live in the state. So yes I did the honorable thing and didn't try a work around.